When we enter the world of acoustic guitars, the battle between different types is inevitable. Depending on personal opinions and preferences, some musicians might favor one over the other. However, that is not what we are talking about today. Rather, I want to discuss the strings that hugely determine the differences and similarities between acoustic and classic guitars. The importance of the strings is often neglected, but no one can deny the role they play in the sound you create. Plus, the instrument does also dictate, what is right for it and what to go for. Therefore, it is highly advisable to go for quality strings, so that nothing can interfere with your performance and stand in the way of creating masterpieces. By discussing the differences between acoustic and classic guitar strings, you will have the general understanding of how things work and, hopefully, be able to make your own decisions about this part of your instrument. There are several denominators that create a sort of pattern in the world of guitar strings. Material, sound and playability are the main factors that make strings worthy or vice versa. Of course, the technical features, such as gauges, cores and windings interfere with all of the above and I will try to discuss them briefly as well. Let’s get started and sort out the battle between acoustic and classic guitar strings once and for all. Even though you could utilize any type of strings with either of the instruments, there are some that work better (way better). 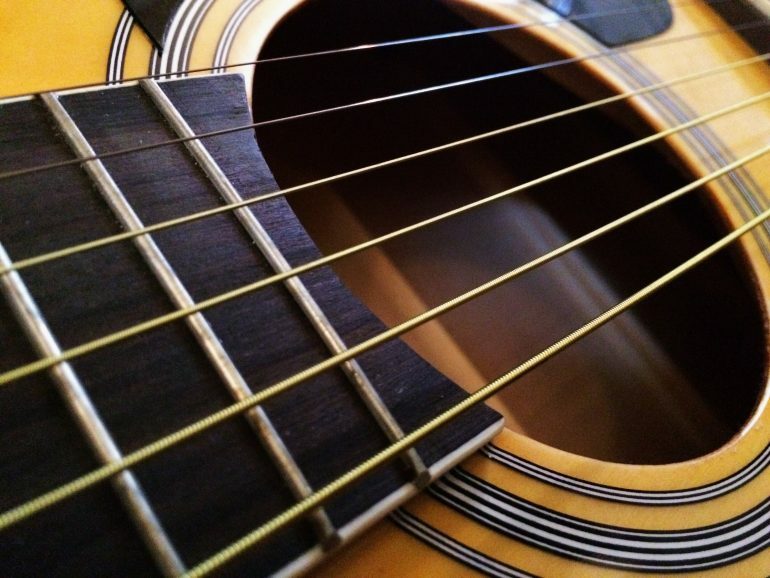 For acoustic guitars, the magic happens when you tie Phosphor Bronze, bronze, steel and silk strings. They are generally coated with some sort of barrier that protects them from sweat, corrosion and makes them last longer. Acoustic guitar strings may also differ depending on the form of the core, which can be either hex or round. One way or another, such strings are more durable and have more defined characteristics. Classic guitars, on the other hand, utilize nylon strings. These can be made entirely out of nylon or have treble and bass strings comprised with different materials. Generally, treble strings are made with nylon, while bass strings can be produced with bronze or silver-plated copper. They are also differentiated regarding the tension type. Low tension indicates that the strings are really easy to play, high tension is harder, while medium tension is right in between these two. On the whole, acoustic guitars require harder material, while the character of classic guitars needs something softer. The main difference between acoustic and classic guitar strings is definitely connected to their sound. The former has warm, bright tone with crisp nature, while the latter possesses rich and smooth classic sound with a mellower character. For this reason, they are suitable for different genres. 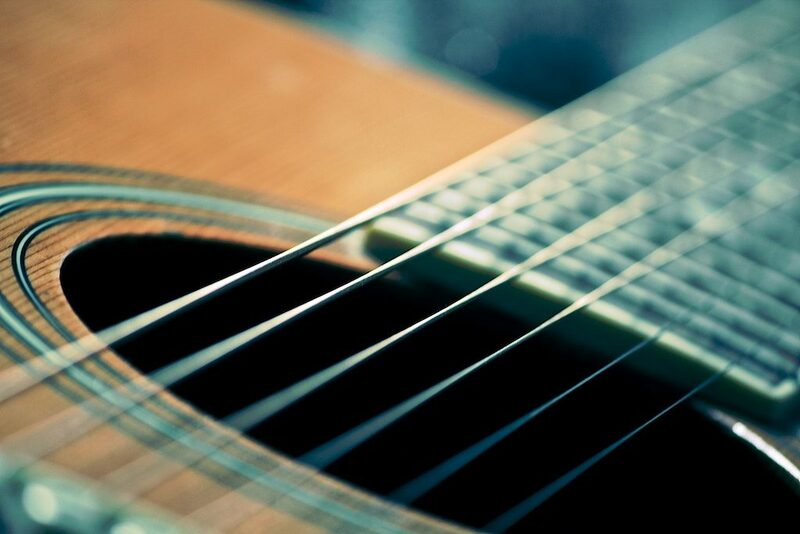 Acoustic guitars with bronze or steel strings are a perfect fit for rock, bluegrass or country. Classic guitars with nylon strings are the best for jazz and classical music. Playability is one of the main differences between acoustic and classic guitar strings. As we have already discussed, they are made out of various materials, that hugely impact how they feel on the fingers. Generally, acoustic guitar strings are harder to play and you are destined to ruin your fingers and go through some pain before you get used to them. Nylon strings are generally way softer on the fingers, which will guarantee you enjoyable experience from the very first day. But as I have mentioned, they vary according to tension as well. There is not much to say about the tuning. However, there is one thing you should keep in mind. Nylon strings have to be tuned more frequently, since humidity and temperature affect their state a great deal. Acoustic guitar strings, on the other hand, need to be tuned in the beginning but as they break down, you will not have to fuss with the tuner each time you take your guitar. Now this is the part which does not have a clear cut answer. What is better and why is always a matter of taste and is subject to our preferences and requirements. We all have our preferable ways of playing, which does interfere with everything else as well. I do not think it is technically correct to state whether nylon or steel (or bronze, whatsoever) strings are better. They simply work wonderfully with their dedicated instruments and have the complementary qualities. Our job as musicians would be a lot easier if we could just go up to the counter, grab whatever meets the eye and just shove it on our guitars. How wonderful would it be if everything sounded equally awesome?! But, unfortunately for us, the world does not work this way. We have to be super meticulous about the strings of our instruments, since they define the outcome of our performance. It does not matter which strings you pick out, the main thing is to reach for the quality, so that you will not have to deal with crappy sound or change them every week. These differences and similarities between acoustic and classic guitar strings are important to know, simply because you have to understand what to expect. Other than that, you will be good to go. Good luck!